From AIS Bulletin #324 January 2002 Introducing KITTY KAY ML 37". (Coming Up Roses X (Social Event x Femme Fatale)). 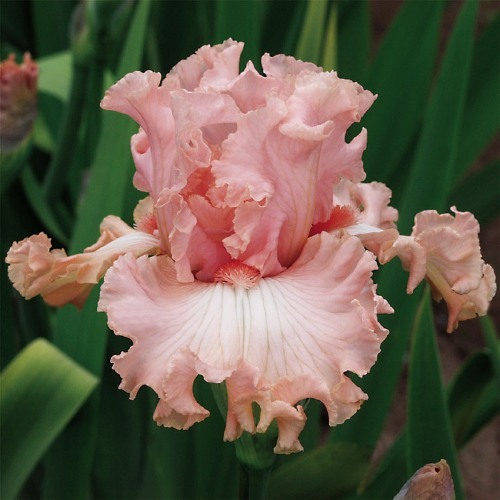 Exquisitely ruffled opera pink, beards tipped pale pink. #92-1 02G. $45.00. Keith Keppel. jpg BHP_0360-X2_kitty_kay.jpg manage 181 K 20 Feb 2016 - 06:39 BrockHeilman Please contact Brock Heilman for image use. JPG IM007078.JPG manage 67 K 13 Apr 2010 - 05:22 Main.bjacobs Photo by Mary Cholet. Picture taken at Mid-America Garden. JPG KittyKay1.JPG manage 66 K 13 Apr 2010 - 04:29 Main.bjacobs Photo by Betty Jacobs. Picture taken at Mid-America Garden.